Rising rents, stagnant wages, irresponsible development, and the City’s failure to negotiate fair contracts with the women and men who protect and serve Somerville inspired the community to join together to take action. 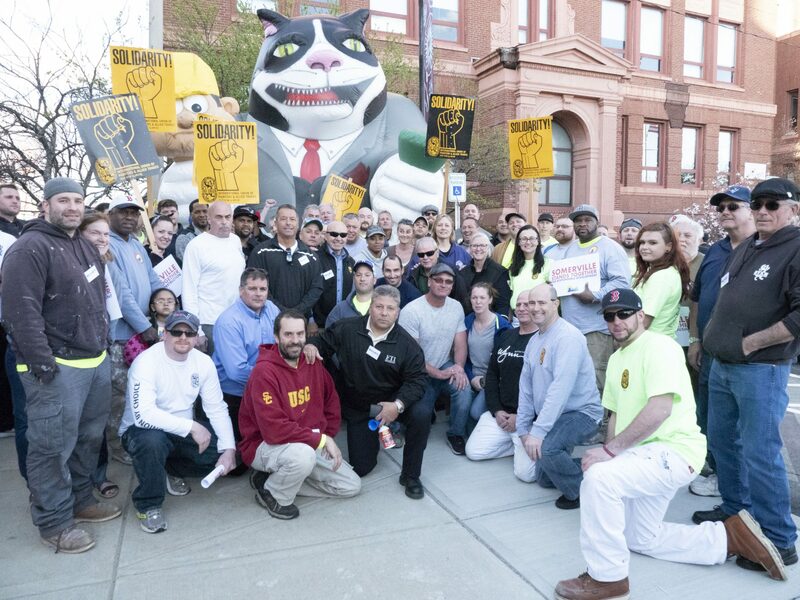 We joined forces with unions, public service workers, community organizations, and residents of Somerville to push City Hall to support local families with good jobs, fair contracts, and affordable housing. We launched our campaign, Somerville Stands Together, to remind city leaders that Somerville stands for fairness, equality, and opportunity; not for a blank check for out-of-town developers looking to cash in on taxpayer funded handouts. To find out more, visit SomervilleStandsTogether.com.